Ever since it was established in 1970, people around the world take part in Earth Day Activities as a way to celebrate National Earth Day on April 22. This day is now a worldwide event where more than 1 billion people take part in a day of action. 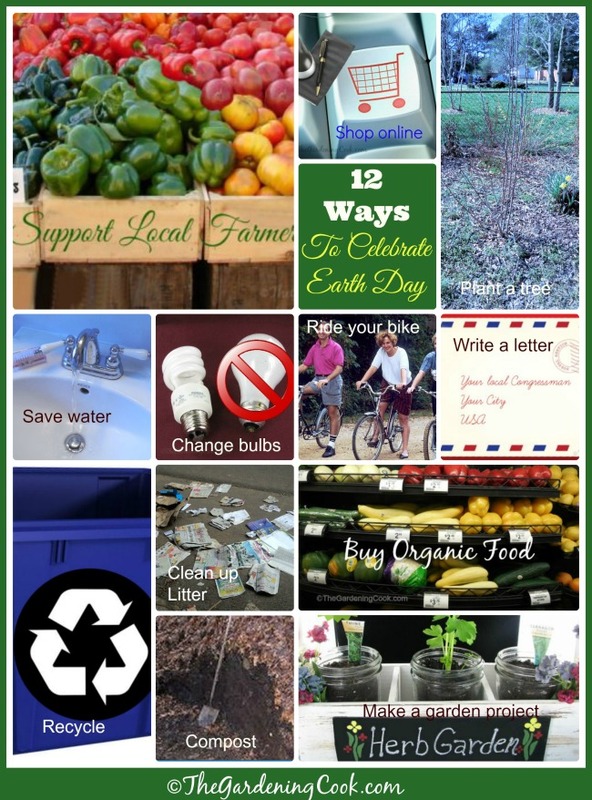 Here are some things that you can do to celebrate Earth Day. 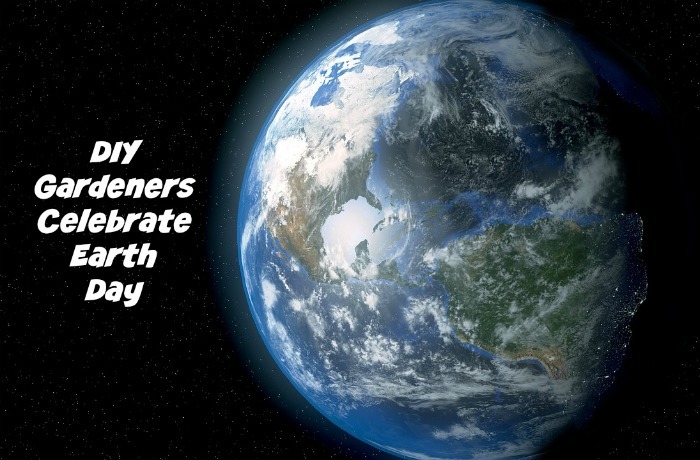 The original idea of Earth Day was formed in 1969 at a UNESCO Conference in San Francisco, CA. In April 22, 1970, U.S. Senator Gaylord Nelson founded National Earth Day. There is not just one Earth day. Another is celebrated on the first day of spring in the Northern Hemisphere (or the first day of autumn in the Southern Hemisphere). This usually falls on March 20 or March 21. We celebrate Earth day in order to make us more aware of our environment. Often Earth day and the term “going green” go hand and hand. What can we do to celebrate Earth Day? Here are 14 easy ways that you can help to celebrate this day. Most require no more than just a little bit of your time. Why not choose a couple to celebrate this year? This is one earth day idea that you can do on a weekly basis. Just shop at your local farmer’s market. Not only will you end up with food that tastes better, you will save money and support your local economy. 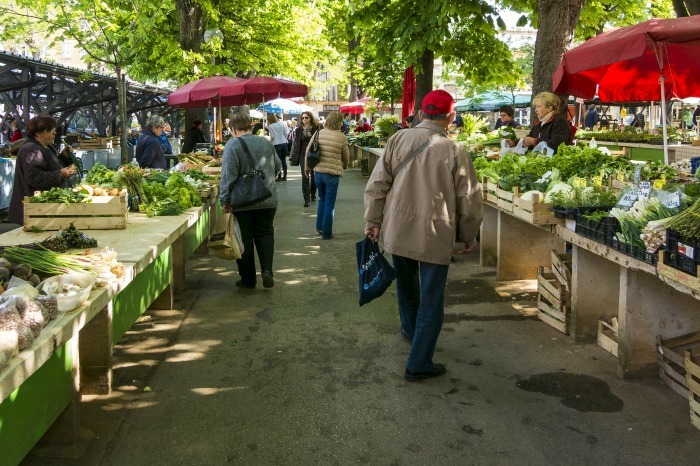 Many of the foods on display at your local outdoor market is grown within 100 miles of the market. 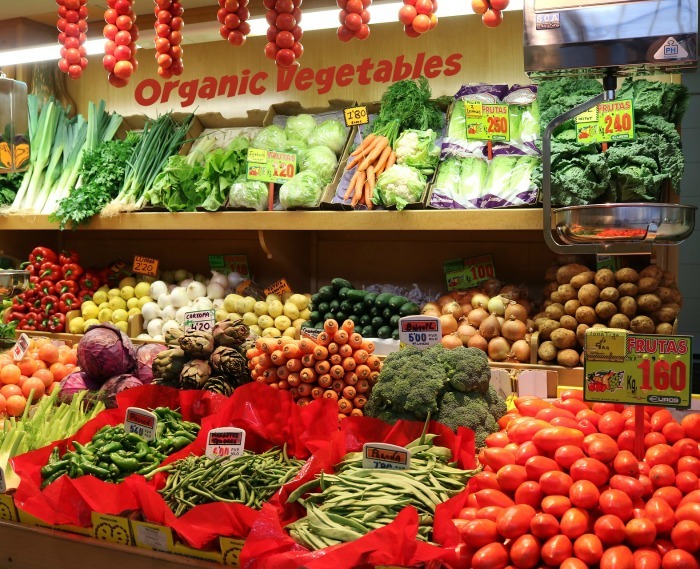 Most of these markets have a wonderful array of fruits and vegetables, many of which you can’t find in a grocery store. Prices are normally cheaper and the quality is amazingly fresh. A few years ago, I saw an advertisement from Arbor Day Foundation which gave out 10 free trees with a membership. The trees were shipped bare rooted and one of them is now about 10 feet tall and graces my back yard, just off my deck. 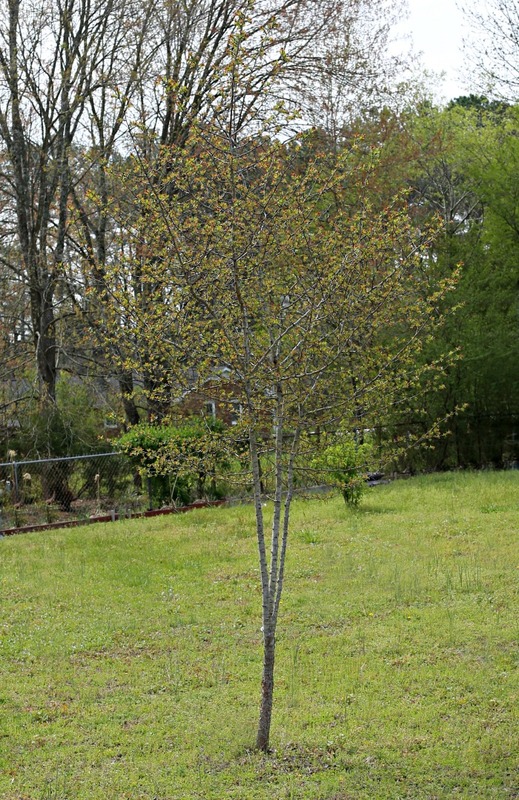 Planting a tree is a great way to celebrate Earth day, no matter where you get your trees. Visit a tree nursery, go to the garden center of your local home improvement store, or find them at a garden center. Trees provide shade and help to reduce ozone levels. They also remove carbon dioxide and other greenhouse gases from the air, which helps to cool the earth. I have a lovely walk that I enjoy which takes me all around my neighborhood. It has a road that is lined on one side with trees. Unfortunately, some “not so ecology minded” people use it as a place to throw their litter. I often take old grocery bags with me on my walk, especially on trash pick up day, and just collect the litter as I walk. Then I dump it into trash bins waiting for pick up. This gives me a pleasant walk the next time and gets rid of the litter too. Try it, it makes you feel great to do this. Picking up litter helps the environment, makes your local community look better and discourages others from littering. It is much easier to dump trash where others have already done it. Keeping an area clean of litter won’t keep everyone from littering but may help a little. There are so many earth day projects out there that you can do. Why not recycle and make something decorative at the same time? 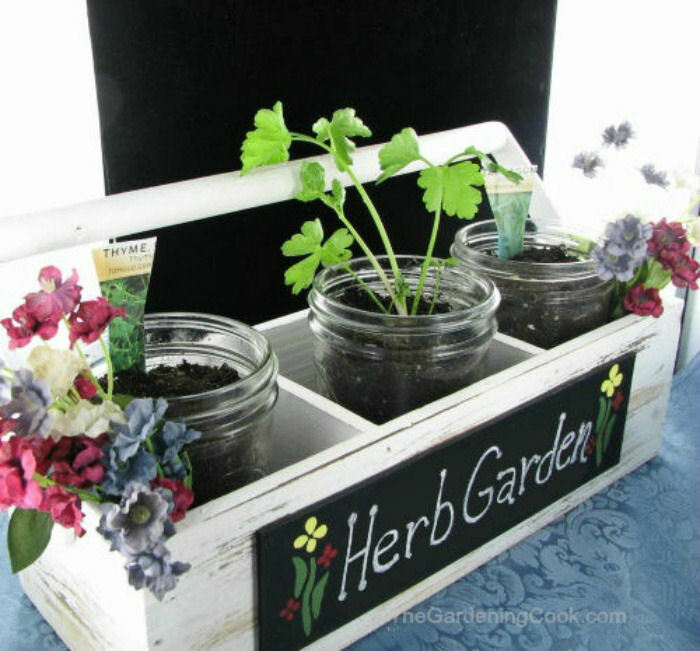 This cute Kitchen herb garden uses recycled Mason jars and took no time at all to make. I made use of the unused jars and got a cute herb garden kitchen display at the same time that I can use each time I cook. And the food tastes so much better with fresh herbs too! Okay, we can’t always do this, but there are many times that a bicycle can be used instead of a car. My daughter got rid of her car in California and rides her bike every where now and hasn’t looked back. Riding a bike during commuting hours in the city allows you to cruise past long lines of cars stuck in traffic. You will get yourself in shape while decompressing on the way to work with some great scenery. 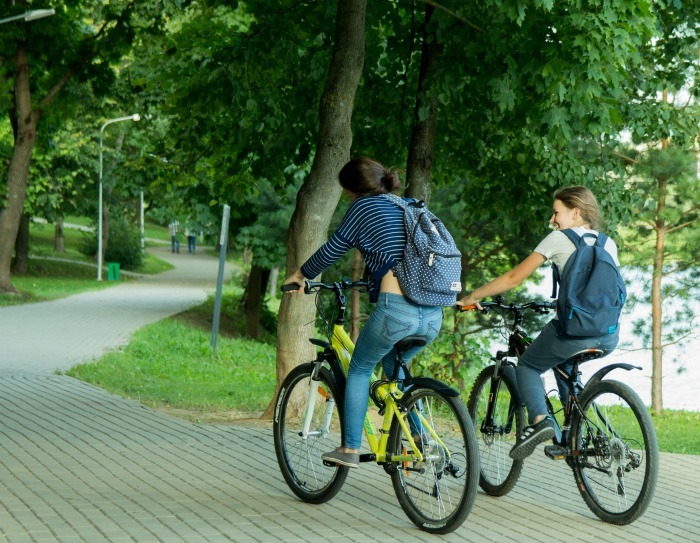 Riding a bicycle means that we use minimal fossil fuels and don’t pollute the environment. You will save money on gas, as well as vehicle repairs, parking fees and insurance. Check out how much you could save by biking to work. Writing checks use paper and paper uses trees. Sign up with your bank to pay your bills online. It takes just a bit longer to do but the savings over time if we all do this will really matter and you will save the cost of a stamp as well. And while you are at it, shop online too. Don’t get in the car and use gas to go shopping. Almost everything you can buy in a store is available online and many smart online venues also offer free shipping. Prices are, in many cases, similar or lower than retail stores. 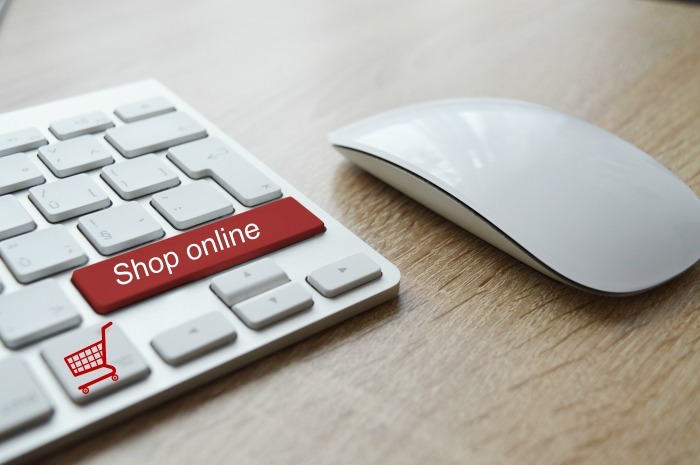 You can also often save money by using rebates and coupons when you shop online. Yes, LED light bulbs do cost more than incandescent ones, but energy saving bulbs really do last much, much longer. I have some in my lamps that are used daily which have not been changed for several years. The overall cost is much lower and the LED bulbs save energy too. 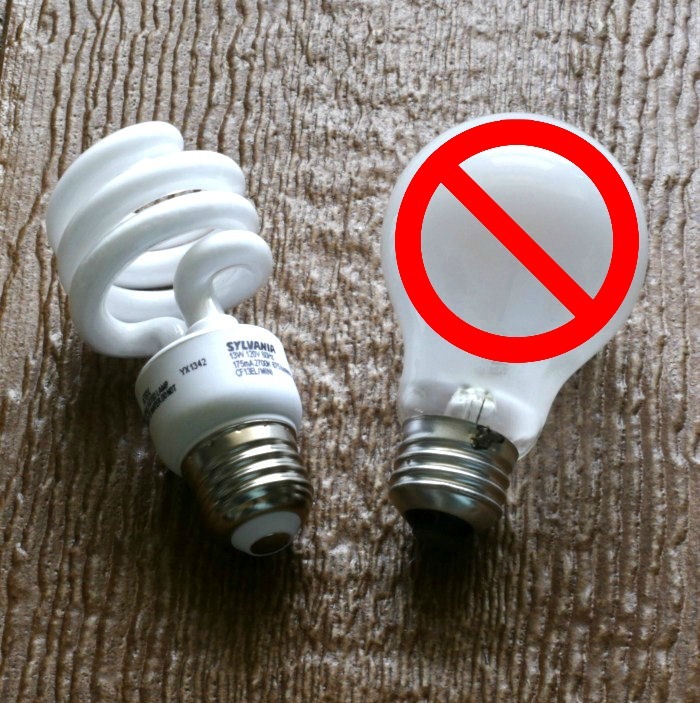 Incandescent light bulbs are also in the process of being phased out: An almost complete ban on their sale started in the year 2014 and the full effect of it will be done in 2020. Incandescent bulbs waste a lot of energy and don’t last very long so it makes sense to upgrade your bulbs now. They are much cheaper than they use to be be now, too. Composting food products and garden waste is a great way to lessen our trash footprint. They give you wonderful humus to use on your garden beds and save space in our landfills because you won’t be sending as much trash away with rubbish collection. When you use organic matter in your garden, you also save money on commercial fertilizers and know that you are adding back to the soil what it really needs, instead of chemicals. 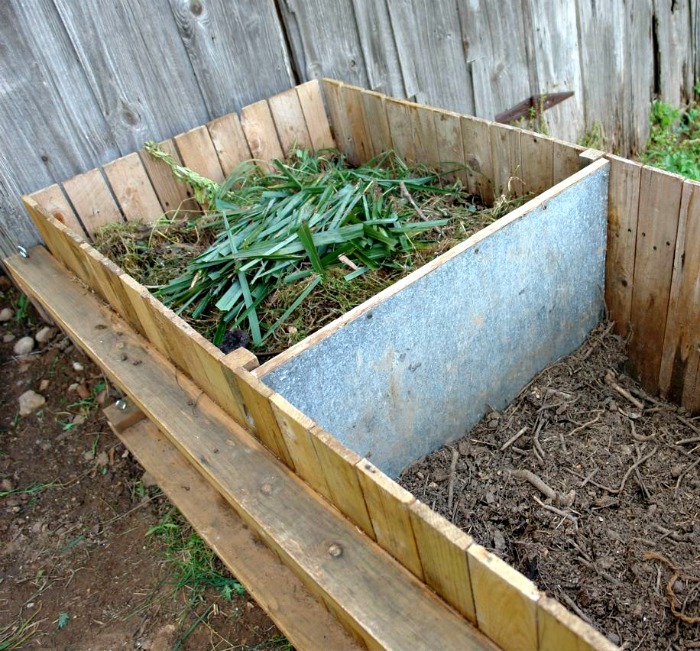 Even if you don’t have an actual compost bin, you can do what I did a few years ago and use a rolling compost pile. It’s actually my favorite type of compost bin because it breaks down so quickly! 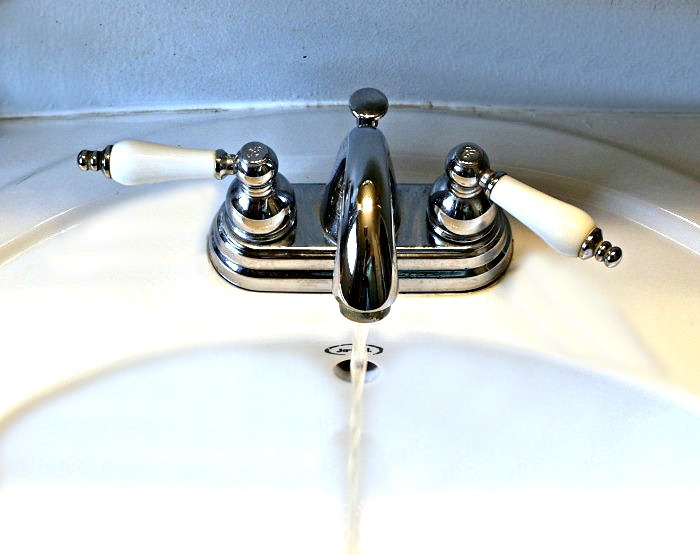 Many of us are in the habit of letting the water run much longer than it needs to. It only takes a few minutes to get hot. Try to conserve water by not letting it run while you brush your teeth, or letting the shower water run a shorter time before you hop in. Every little bit helps. Start by taking short showers instead of filling the bath tub. The operative word here is short. If you are in the habit of taking long showers with very hot water, you may actually be using more water. Installing a timer on your water heater, fixing tap leaks and insulating your water storage tank are also other ways to save water. When you think about it, earth day is every day if you follow some of these tips. Why think about the earth only on one day of the year? 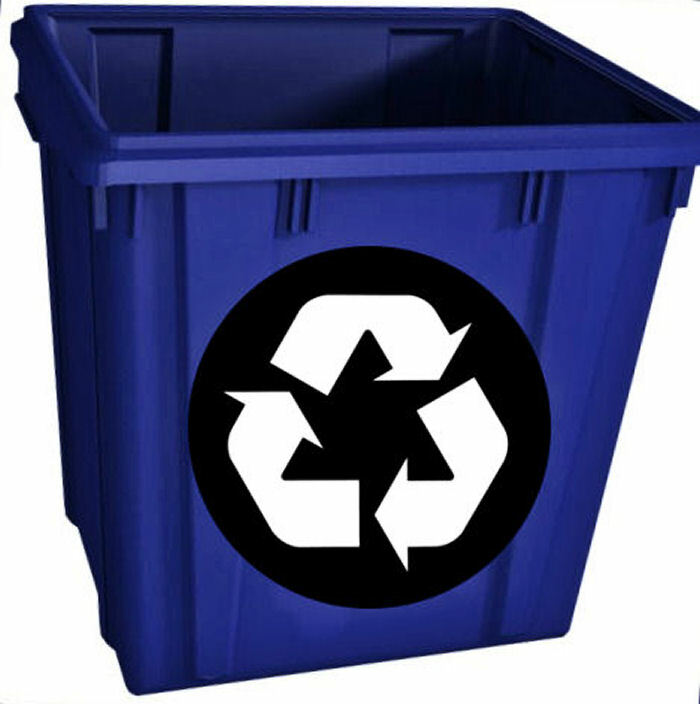 Practice recycling by using the bins that your city provides if you live in the city limits. Rinse out cans and put soft drink bottles in there. 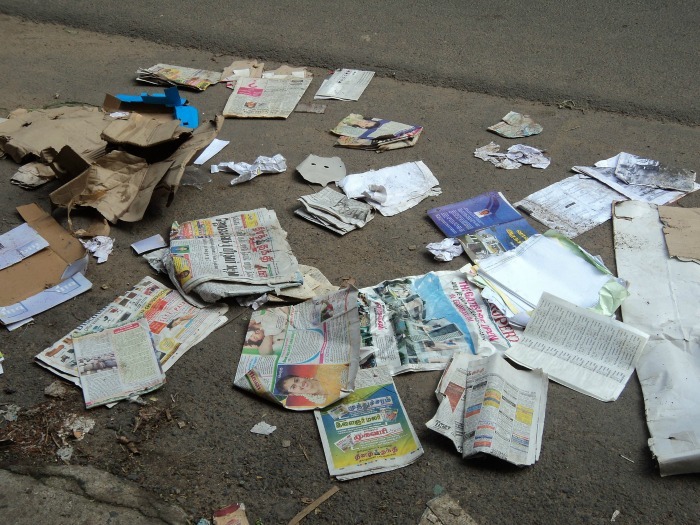 Add your cardboard refuse and junk mail flyers to the bins. The environment will thank you. Politicians need to hear from their constituents before any changes are made in laws. They won’t do anything about the issues unless they know that they are important to a lot of the people in their districts. Do this today! 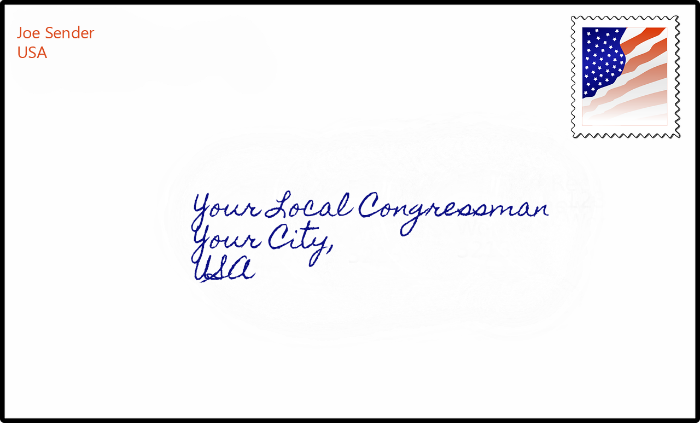 You can find your local congressman or woman’s address here. More and more large grocery stores now have organic vegetables and some stock antibiotic free chicken and free range eggs. My local Kroger store has a big range and they often send me coupons so that the price ends up being closer to that of their not so healthy options. I buy grass fed beef from my Local Whole foods when it is on sale, and the cheaper cuts of meat are actually just as tender as the more expensive normal cuts. Don’t use “it’s too expensive as a reason not to buy the organic versions. Just be a smart shopper. Twitter, Facebook and other forms of social media are a good place to spread Earth Day Quotes, printable and projects to celebrate this ecology minded National Day. The Garden Charmers on Facebook joined me to celebrate Earth day, too. 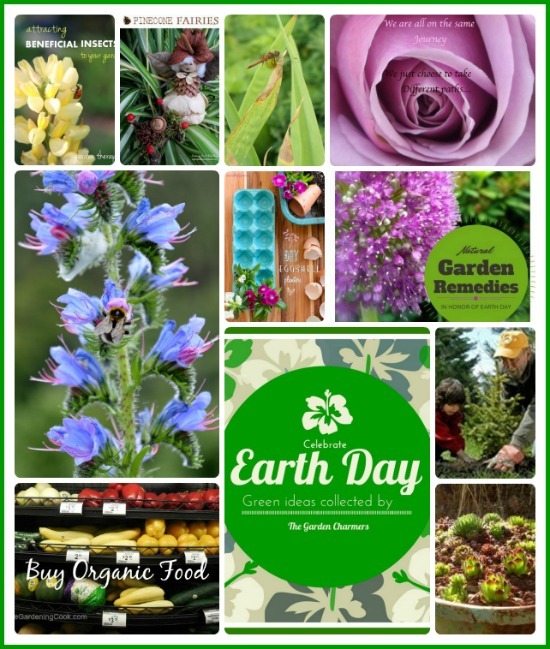 See how each of them celebrates this eco-friendly day, that is dear to all gardeners. Visit any of these pages for fun and interesting earth day projects that you can do to celebrate National Earth Day. Can you think of other things that you can do to celebrate Earth Day? Please leave your suggestions in the comment section below. Admin Note: This post first appeared on the blog in April of 2014. It has been updated with new photos and additional information. What do you do to celebrate Earth Day? Please leave your comments below.